Downes Reliable Shoe Repairs was established over 100 years ago and had traded at the same location for the entire period until development finally caught up with it in early 2014, Barry Toombs, a qualified shoe maker, purchased the business in 1985 and has carried on the good will of the past owners, keeping the quality shoe repairs and friendly specialist service that Downes Reliable Shoe Repairs was renowned for. In the late 80′s with the repair-ability of shoes declining Barry (The Doc Father) started researching quality boots and shoes that a boot maker could recommend, he found Dr Martens, which were little known in Australia, only being imported sporadically from England. Barry contacted the only importer and together they brought even more styles to Aus, there were no catalogues or size runs in those days, Barry received a shipping container every month and Brisbane loved it. 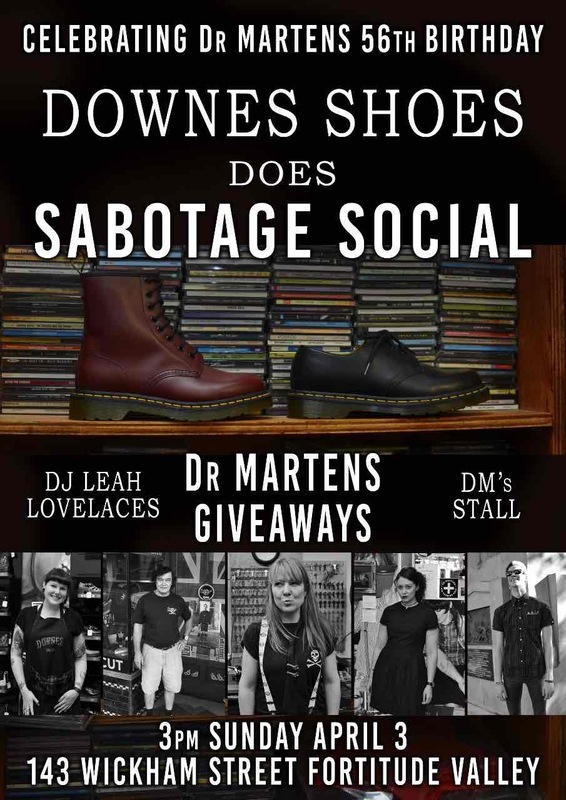 Very soon a Dr Martens authorised importer appeared and Downes Shoes was one of their first suppliers and have continued our long and happy friendship to this day specialising in the biggest range, cobbler quality product knowledge, and repair of Docs and all things Dr Martens!! 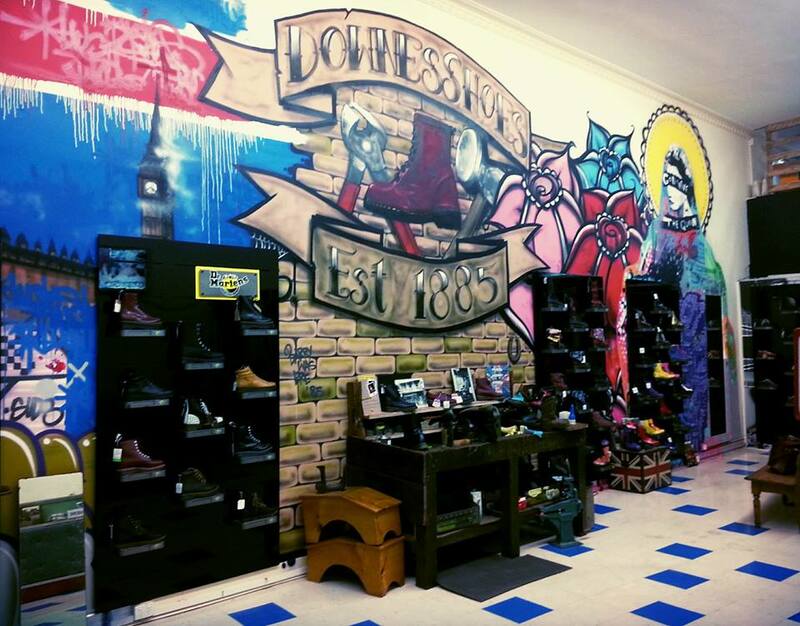 We are the proud home of Australia’s largest range of Dr Martens shoes, boots, and accessories; and we post nation wide, even to our neighbours in NZ and even further afield! Sunday – SORRY we are CLOSED – Thank you for supporting small business! Most of us absolutely love to receive DOCS as gifts, and at Downes we love to make that easy and fun! You can try on as many pairs as you like, we have shoe parties & professionally fit you in your favourite choices, we also have gift vouchers, available in-store or via post/email for the super sleuths! Also… We exchange, so it’s all good you can’t go wrong! Docs are therapeutic, long lasting , and are good for your feet. Symbolically DOCS are an excellent gift! There is something truly beautiful in gifting your loved one the shoes/boots that will safely walk them through their future adventures! Docs are a very practical, fun, and unique gift that can be enjoyed everyday for many moons! Docs are eternally COOL for all ages!